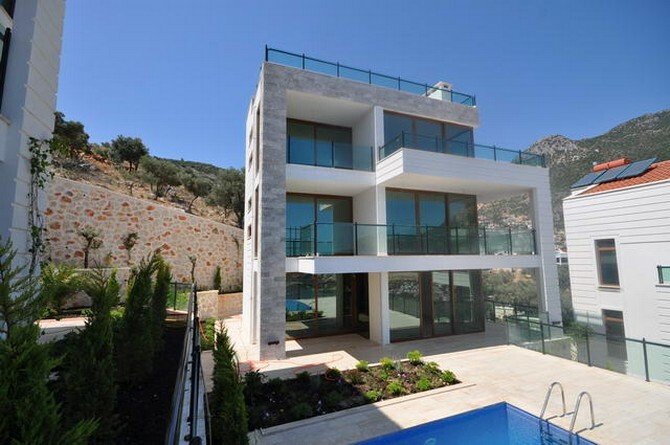 This spacious detached villa with unobstructed sea views in Kalkan's Ortaalan is perfect for a private family getaway. Relax in style and comfort in this sumptuous contemporary design villa. With 5 spacious bedrooms (all with en suite bathrooms) and a very large living area, there is plenty of room for everyone to relax without feeling like you're on top of each other. A huge roof terrace makes the most of the incredible vista spread out beneath you. 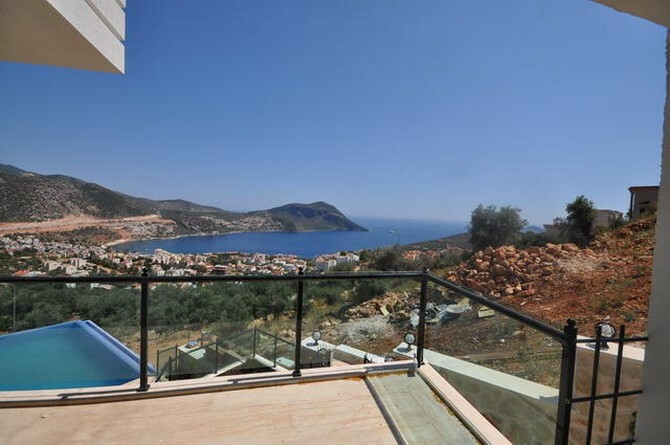 Ortaalan has long been one of Kalkan's most sought-after neighbourhoods. 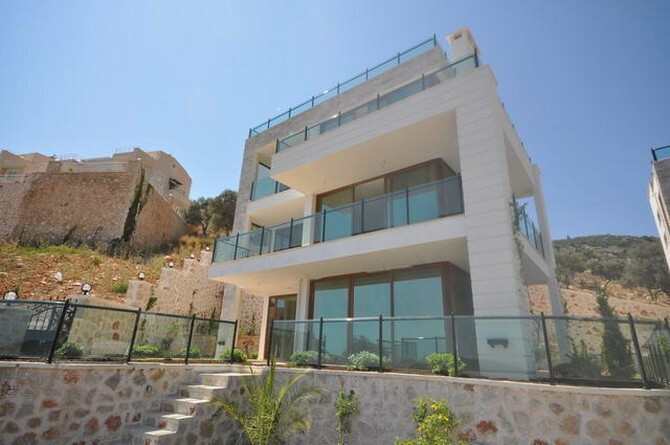 High enough to command an imposing view, but not high enough so you'll get winded walking back from town, it is perfectly placed to allow you to enjoy the best Kalkan has to offer. 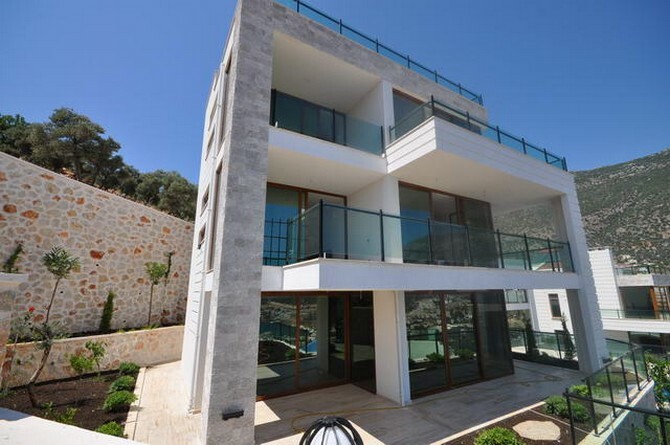 Just a hop, skip and a jump away from Kalkan's harbour front, you're just a few minutes' walk from rooftop restaurants, boutique shopping and the hustle and bustle of summertime Kalkan. 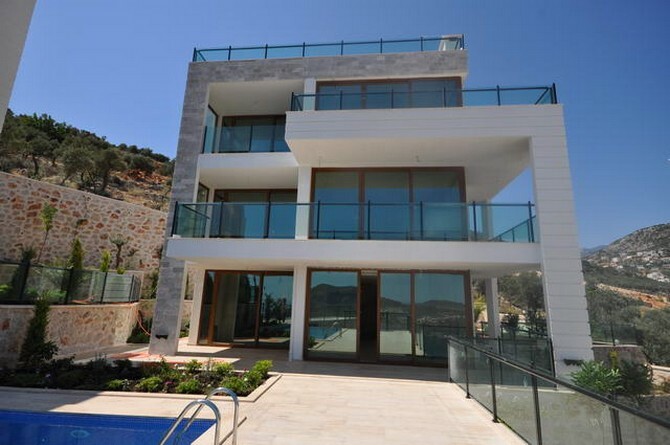 Open Plan Kitchen and Living room facing to Kalkan Bay and Harbour. Prices from 2,200,000TL up to 3,200,000TL.